Steve Lipman sings to inspire. His recordings seek a special connection between the performer and the listener as he reenacts the innermost meanings of life through song. No musical genre expresses those innermost meanings better than the classic and incomparable repertoire of the Great American Songbook. These songs are the stuff of dreams, nostalgia, first loves, and loves lost. 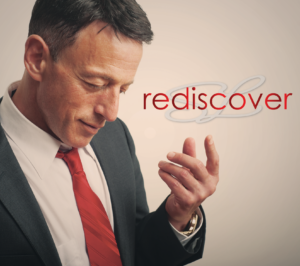 Steve is making a brand new album called Rediscover so he can bring this music to a new generation of listeners. So many music lovers remember the works of the Songbook as the music that their parents loved. This new album is an invitation to rediscover these classic American songs with fresh energy in new arrangements. Steve has already completed three songs from the album with the help of an exceptional seven-piece band. He is also in the process of recording three much more intimate small-ensemble pieces that provide a thrilling contrast to the swinging bombast of the larger band. But, these six tracks that represent the wide emotional and creative scope of the album are only the beginning of the story. On October 31st, 2016, Steve launched a crowd-funding campaign to allow him to complete Rediscover.